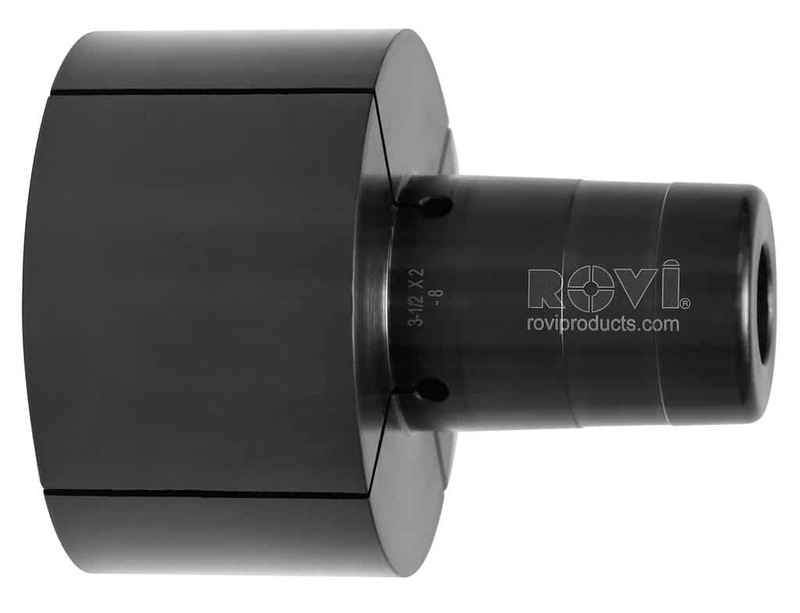 16C-8 Series HD Collets (For Bore Diameters from .750″ to 6.00″) » Rovi Products, Inc.
Rovi heavy duty expanding collets provide greater strength and rigidity. 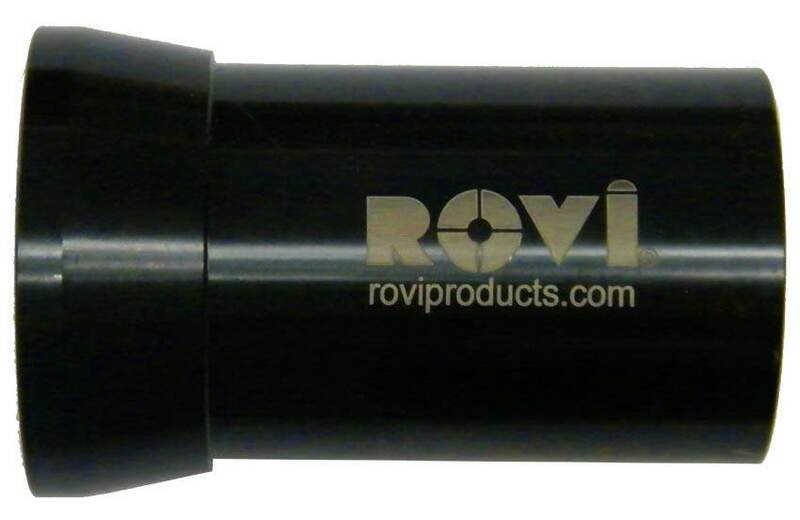 This system works off the same principle as that of the ROVI 5C system. 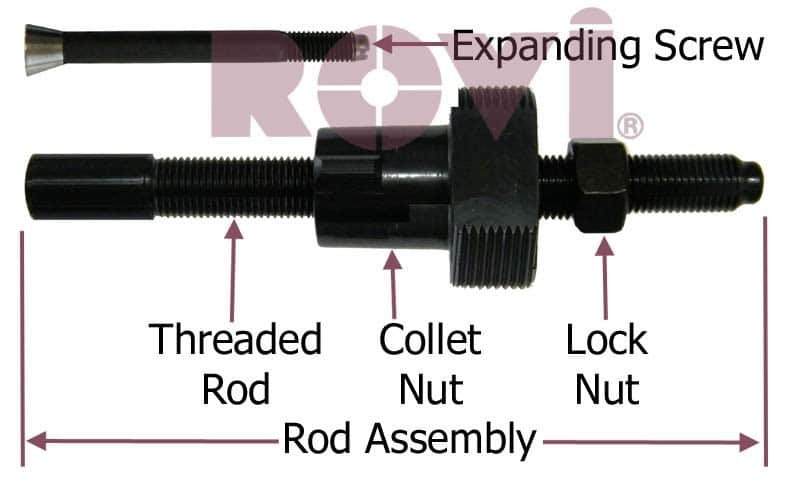 It still includes the rod assembly, sleeve, and machinable collet. The difference is the larger size. 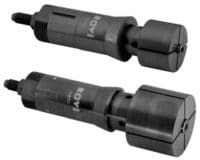 Instead of a 1/4-28 screw, this system uses a 3/8 screw. In addition the stem of the collet is much larger than the -4 collets, resulting in a more rigid setup. 16C Expanding Collet (of desired size), Sleeve & Rod Assembly. Choose “Complete Assembly” Below to order all three together. Select desired product from links below.